Since the company was founded in 2009, Uber has brought its ridesharing service to more than 500 cities around the globe. Its drivers have brought affordable public transit to new markets, and forced taxi companies to re-think antiquated business models in the face of rapid innovation. Now, after acquiring the self-driving truck company Otto for $65 million, Uber will take a crack at the trucking industry as well. Otto’s assets and personnel will form the cornerstone of a new division called Uber Freight. Although Otto was focused heavily on the development of self-driving trucks, Uber Freight will use human drivers to establish its presence in the trucking industry and gather data to help improve its autonomous driving systems. While other startups have tried to create the “Uber of Trucking” without much success in the past, the real Uber may be able to succeed where others have failed thanks to its already well-established global business infrastructure. 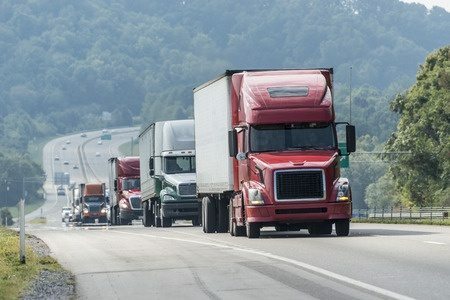 While there will no doubt be some unique challenges associated with a move into the trucking industry, Uber Freight has the resources and talent to make it work. Uber Freight’s goal is to eliminate brokerage fees by connecting shippers directly with trucks based on their immediate needs. The company will offer shippers real-time prices based on current levels of supply and demand. Although these prices will be subject to frequent change, Uber Freight is confident that the service will be reliably cost-effective for carriers and shippers due to its lack of brokerage fees. Perhaps the biggest challenge facing Uber Freight could be the aging, disparate infrastructure of the trucking industry itself. Many companies in this industry have been slow to adopt new technologies, which may hamper Uber’s progress, at least in the short term. If Uber Freight is able to offer consistently low prices by cutting out the middle man, however, it could provide a powerful incentive for shipping companies to give the new service a shot.